KATHMANDU, Jan 21: Shree Gaun Sports Development Committee of Dang has registered its second straight win in the ongoing 14th Dhorpatan Double League Women’s Volleyball Tournament, while Thaha Municipality of Makawanpur lost two games in a row on Sunday. Likewise, the departmental team Tribhuvan Army Club and Samakhusi English Boarding (SEB) School won their respective matches. At the Dhorpatan Sports Club’s Court in New Buspark, Shree Gaun defeated Thaha Municipality on straight sets of 25-4, 25-9, 25-9 in its first match of the day, while it beat the host Dhorpatan on straight sets of 25-10, 25-9, 25-6. In third match of the day, Army defeated Thaha Municipality on straight sets of 3-0. It won 25-7, 25-9, 25-12, while SEB School also registered 25-16, 25-20, 25-21 win over the host Dhorpatan. Shree Gaun will face SEB School, while Army will take on the host Dhorpatan on Monday. 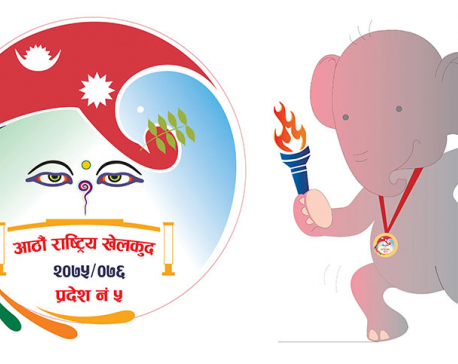 The defending champion departmental team Armed Police Force (APF) Club will play against Shree gaun, while SEB School will battle against the other departmental team Nepal Police Club on the same day.